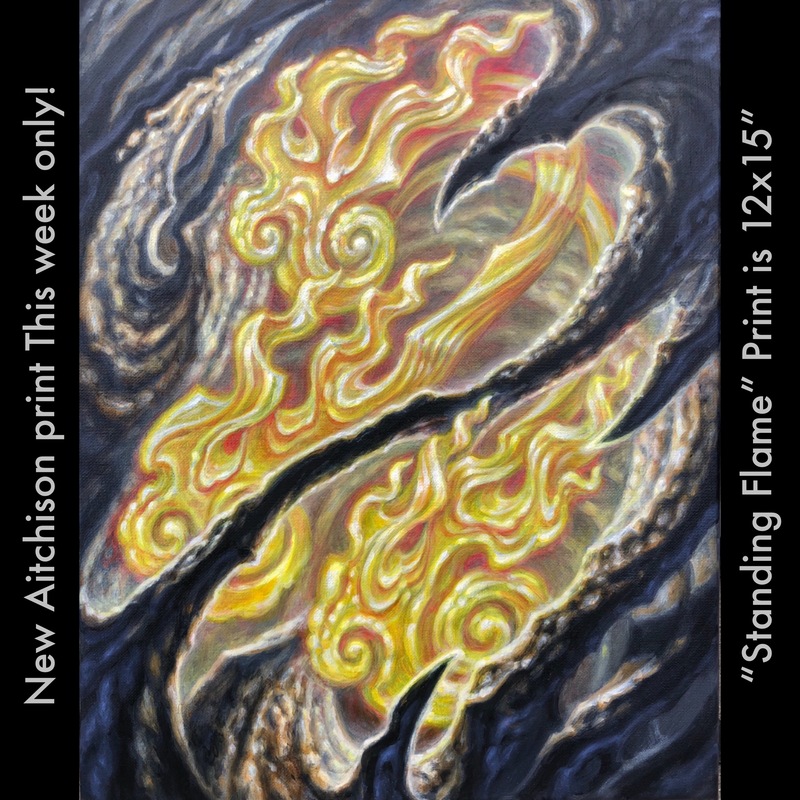 Guy Aitchison’s most recent painting, “Standing Flame”, is being offered for the next 7 days only as a special edition signed archival canvas print. The print is 12x15” plus a 1” colored border for mounting purposes. At noon on Monday, April 15 we will be removing it from the catalog. Available now at Hyperspacestudios.com/prints.